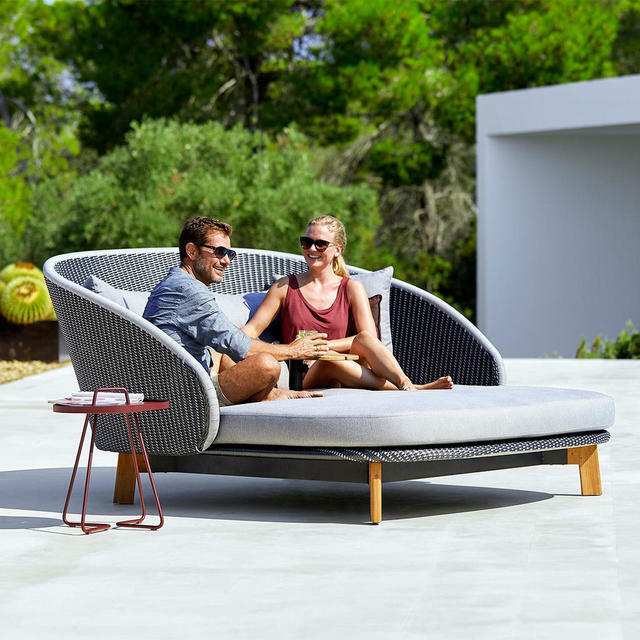 Lean back and relax style in this uber comfortable outdoor daybed. 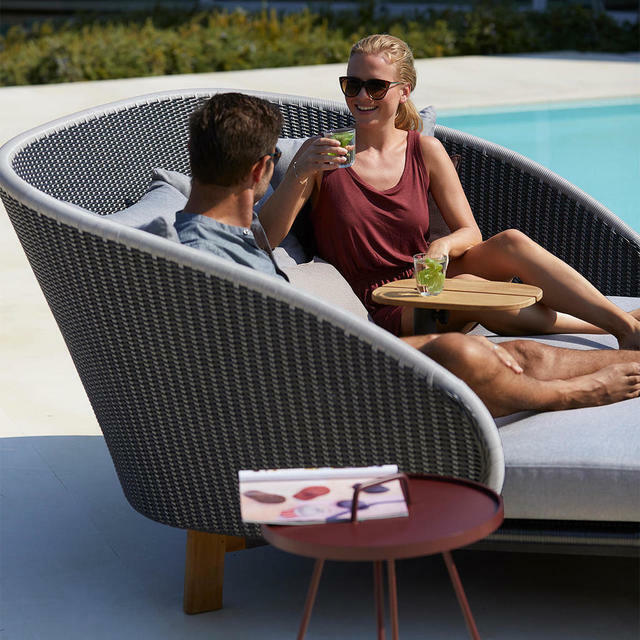 The Peacock outdoor Daybed has been designed in line with all Cane-line furniture to give both high levels of comfort as well as functionality. 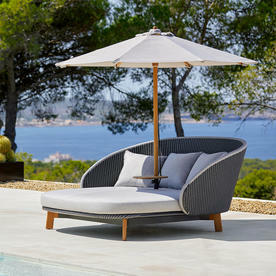 Made in Cane-line Weave®, which makes Peacock ideal for outdoor use in any climate as it is temperature and UV-resistant. The daybed gently cups round, giving good support and a deep comfortable and cosy feel. The Peacock Daybed has a small teak table which sits in the centre of the bed. This can be removed and combined with the Classic parasol instead, see here. The woven back will give extra protection again summer breezes. 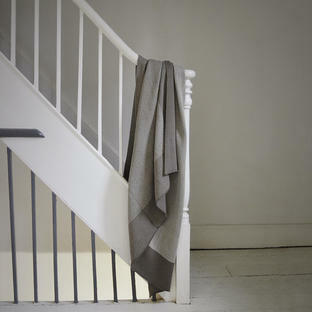 The weave is Grey/Light Grey colours. 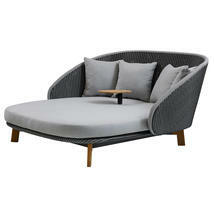 The Daybed cushions ( complete with the daybed) are in light grey and comprise the base cushion and 4 scatter cushions. The mix of two colours in the weave gives a very unique look. 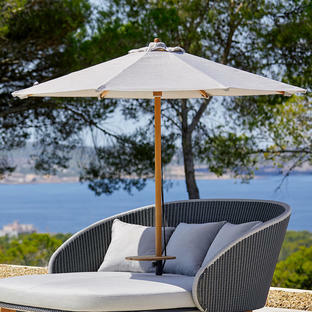 There are also dining chairs available in the Peacock collection and lounge chairs, see here. Made from a double polythene, bucket Cane-line Weave, using 2 shades grey. The daybed is individually woven over a Powder Coated frame with certified Cane-line Teak Wood, which is best left untreated. 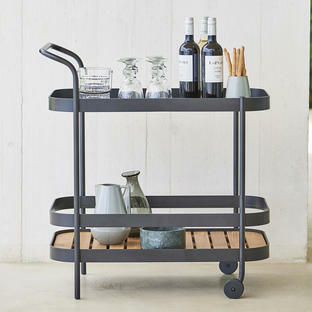 It will develop a beautiful grey patina over time and requires only a minimum of cleaning.